Our journey began in Hawaii and it was only fitting that we celebrate our 10th event in the land that birthed us. On the Big Island of Hawaii, a group of amazing and talented humans gathered to share in the celebration of life creating the New Earth Tribe as we emerged into a new year and a new world. Here, our very first group art piece was created by a group of inspired life artists. We got to break into a new earth as the rains dissipated and blessed us with the boldest double rainbow that ushered in new meanings. A new year means, new beginnings, new profound levels of communication, confidence, connection, and creativity. Follow our journey this new year and join in the building of A New Earth. Pretty much encapsulates the events and experiences that created the Tree Tribe. Polar plunges, oxygen overdoses, magic tricks, delicious pumpkin bread, a fire, freestyles…these are some of the ingredients that made the tribe of trees on a beautiful spring month in Oregon. A group of 30 pull up on the gravels to a mysterious lake with hidden treasures and flowing vibes, what is to be expected? The Guardians of the Vibe Tribe emerged from Silver Lake in Northern Washington where a group of strangers experienced breakthrough connections that created a conscious family of radical and inspiring beings. The silver lake gifted us with a connection to the source, through the experience of natures creation. The wise owl emerged as if summoned by our breathing ritual, a feast of berries after a healthy competition across the lake into the unknown beauty of nature and back, our bodies were honored with the healthiest foods and the deep and genuine human interactions. 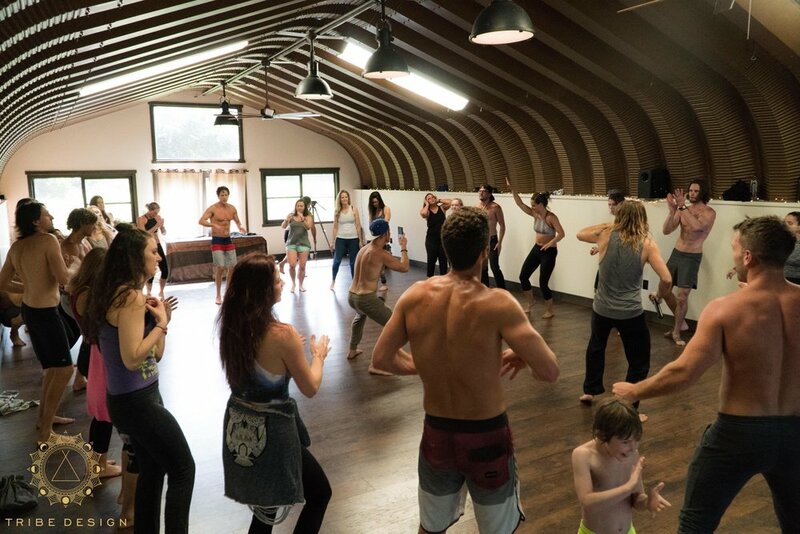 At the silver lake, 30 strangers became free to play and created a family that will guide and share the vibe in their journeys through life. 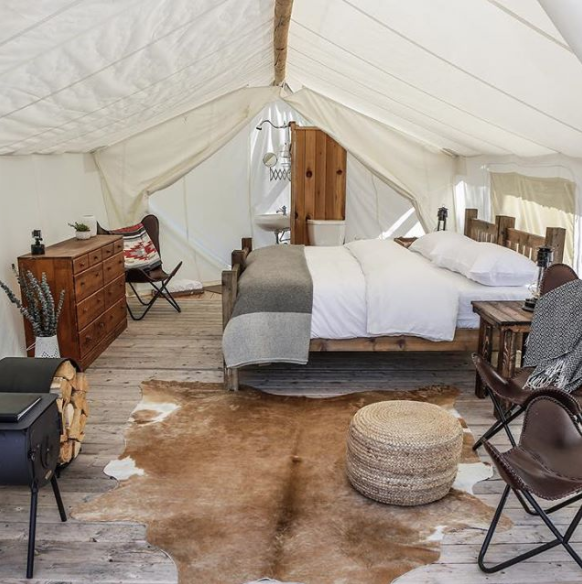 Months after what many imagined was Tribe Design's final event in Maui, it's founders spontaneously reunited to team up with Tribe Design pioneers the Mystic Misfits in the Redwoods of Santa Cruz, California. Converging at a new, innovative, luxury campus called 1440 Multiversity, they created Mystic Misfit Multiversity, a radical education for the new world featuring workshops on the power of polarity, dynamic mediation, radical authenticity, dream-walking, conscious sexuality, and musical freestyle. At this event, Tribe Design was re-birthed. Lumeria Maui was the perfect gathering space for this epic mastermind retreat of self-loving proportions! 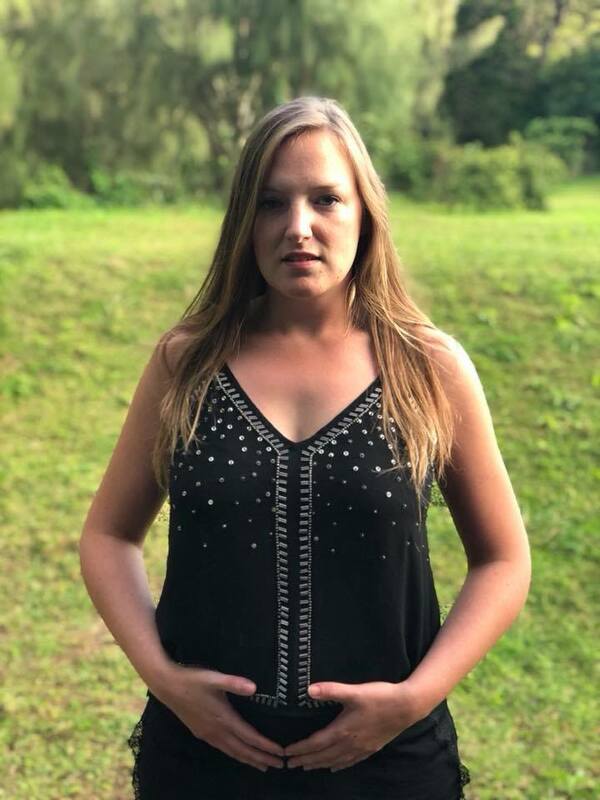 Set in the hills just above Paia, Maui with rainbows and tropical greenery all around, we found our voices, embodied our truth, and came alive as a tribe of geniuses. Love was in the air, heart breaks and heart openers... this island gave us exactly what we came for. The kids were such a gift and gave that village feel, the grounds and accommodations were gorgeous, the food was delicious, the adventures were breathtaking, and the vibes were at an all time high. Yes, many were triggered, many broke though old barriers, a few almost gave up, but by the end we all realized something magical here and saw this experience as the perfect catalyst to our next chapter as we kick off 2018... the evolution is real!! Located 7 miles from the breathtaking Glacier National Park where peaks touch the sky, glaciers move the earth, waterfalls carve the rock, and wildlife roam as freely as they always have, this event was set up for success. 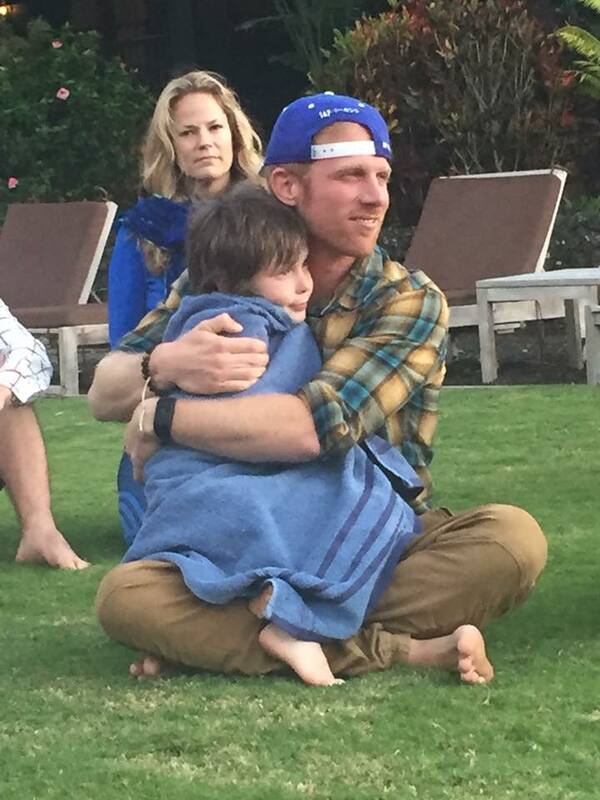 Not to mention the second Tribe Design proposal by the Ultra Spiritual Guru Jp sears and his now wife to be Amber who both met at our previous event in Costa Rica. As a bonus recap, we learned that another power couple is now expecting a baby. Tribe design is setting the bar high with all the love in the air.. Who will propose on the next tribe gathering? The Pura Vida Tribe gathered on a self-sufficient, off-the-grid, hidden gem oasis on the souther shore of Lake Arenal in Costa Rica, near the majestic Arenal Volcano. As a tribe, they enjoyed farm-to-table food, rainforest hikes and magical moments of authentic Tribal Council. They re-defined what it means to Tribe Design and proved that it only gets better. Did we mention the EPIC proposal that took place here? This tribe was and still is full of love. 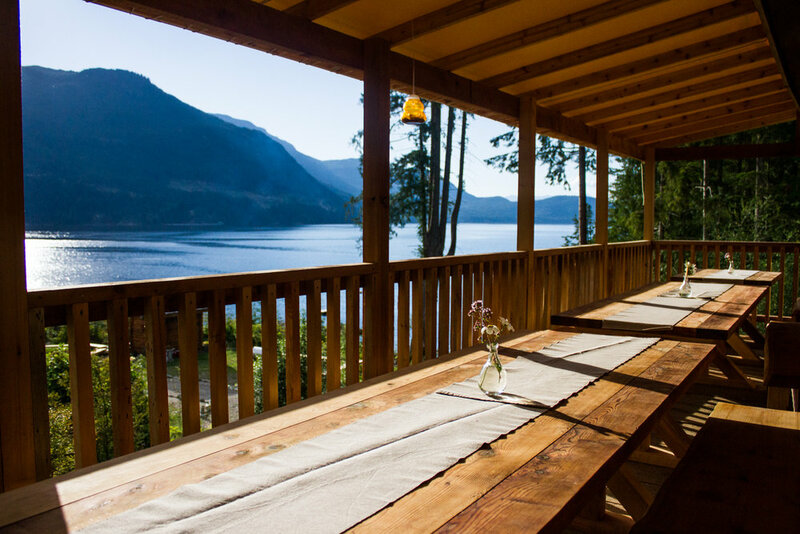 Surrounded by 125 acres of pristine wilderness and 1 mile of waterfront on the Sunshine Coast of British Columbia, the Sunshine Tribe embraced endless night skies, and panoramic views of ocean and mountains, fireside musical jam sessions and raw connection. They are still creating memories together around the world. 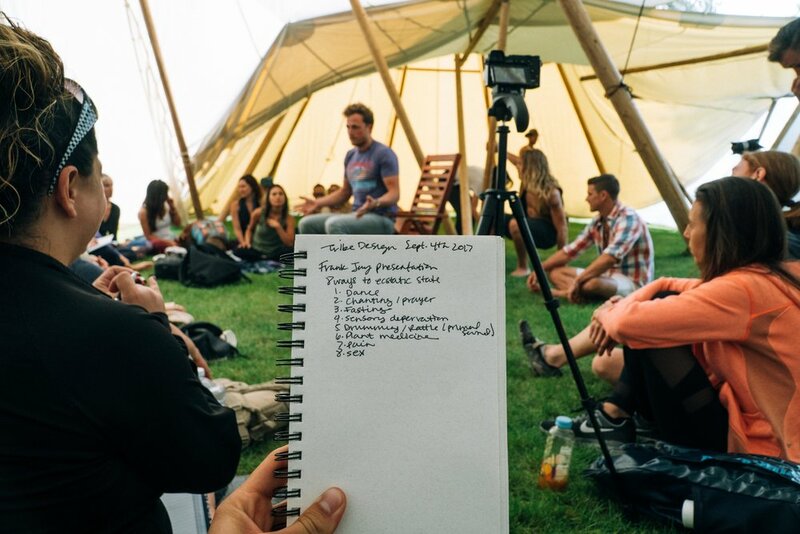 Riding the wave of momentum of an exciting new movement, Tribe Design travelled to Byron Bay, Australia to host their second groundbreaking event with the best lifestyle designers and evolutionaries from down under. 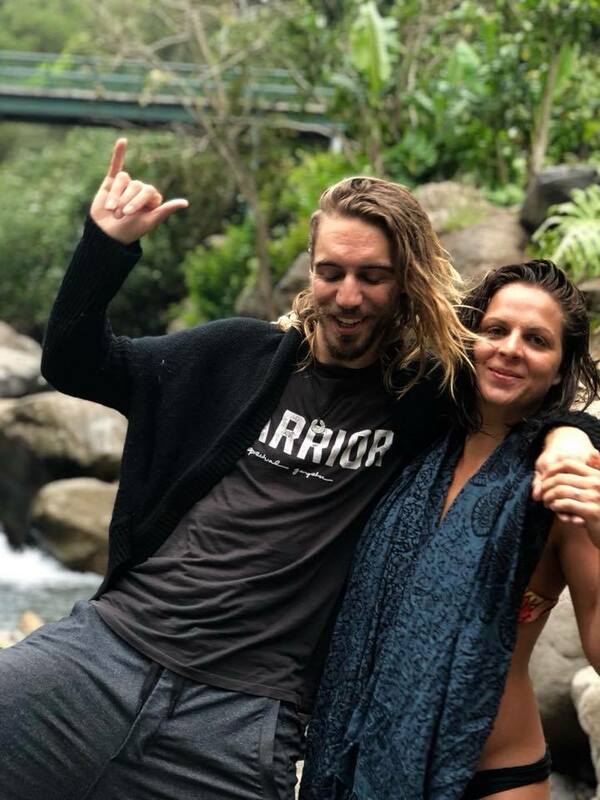 'The Most Spiritual Place on Earth' Byron Bay was buzzing with breakthrough's and adventures of synchronicity for this tribe who forever won back paradise. New Years Evolution Fest was the first official project of the paradigm-pushing, ancestrally innovative of International Tribe Design. A radical group of 100 people of inspiring musicians, boundary-pushing ninjas and education creators came together from all around the world to gather on one the most remote paradises on Earth known as the Garden Island, Kauai to launch into the New Year. Partnering together in powerful ways, they demonstrated what is possible when today's most knowledgeable and skillful lifestyle designers and thought leaders engage in tribe synergizing playshops, presentations, adventures and conversations.